This is just lovely! 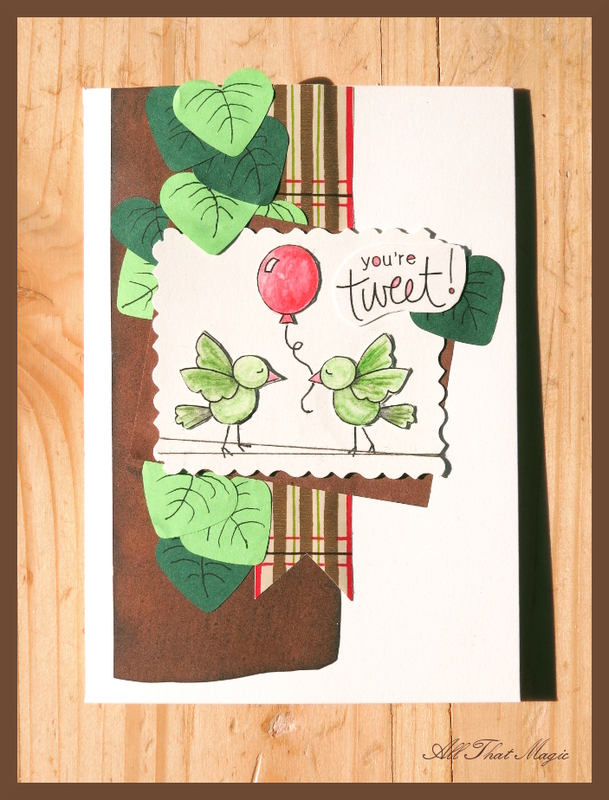 The woodgrain background works perfectly with the darling birds! Thanks so much for sharing with us at Inky Paws Challenge! Such a cute card! Cool leaves! Thank you for playing along in the Inky Paws challenge!